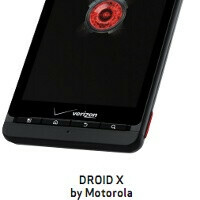 UPDATE: Verizon has confirmed that the update will be rolled out to the DROID X starting tomorrow, May 27th. Verizon’s Motorola DROID X is one of the most popular Android devices, but up until now DROID X users were stuck with earlier versions of Google’s platform. Now, Verizon has posted information about the upcoming update on its website, so it’s as official as it gets. The only thing that’s still missing is an exact release date. The 4.3-inch Motorola DROID X will get a host of new features with Gingerbread including improved copy-paste, a download manager app and new user interface. The update, romantically referred to as 4.5.596.MB810.Verizon.en.US, will take up 112MB of space if your current version is 2.3.340. Verizon has estimated an average 20 to 40 minute for downloading and up to 10 minutes for installing the update, but we would also add a word of caution for users with rooted devices, who could take their time until it’s confirmed that their device is fully compatible. Impatient folks can navigate to Settings > About phone > System updates > Download to see if the update has already appeared for download. Who cares if they have evidence. They are releasing an update. People are going to get it. People are going to post about it. What was the point of your comment? Cuz its not just Verizon...its the carrier and the phone manufacture combined. Not this update, this is the official update from Motorola signed off by Verizon. There will be differences such as the official one will probably carry more crapware that no one wishes to use and you can't delete it...no idea why they force this issue at all, not like you can use a CDMA Verizon phone elsewhere to begin with. Makes sense to update the older phones first as they are already more stable than the newer ones, and people already have them so it makes sense to keep those customers happy. New phones are new so that alone will make people want to have them, the TB is pretty much beyond saving. Also the it's a Droid X, last years flagship phone. the official build looks to have more widgets (including a much needed bookmark widget) and an updated gallery. If the new GB .596 can not be rooted for the time being. I'm not updating. I'm running an Odexed .595 GB leak. Rooted. I'm in the test pool but no invite yet, and no gb either.